While the rest of the country is debating whether to stand or kneel in honor of the National Anthem, one local church is taking the act of patriotism into their own hands. 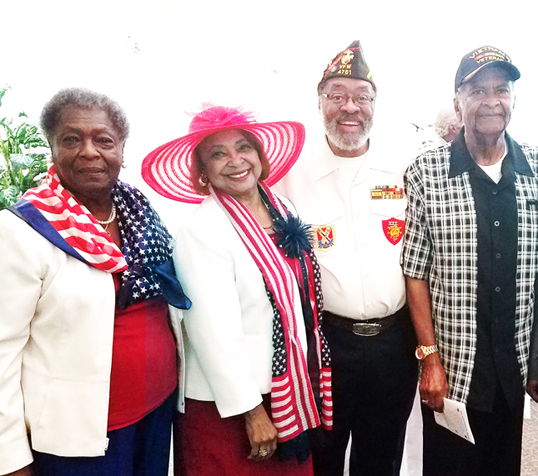 The Usher Ministry #3 of Emanuel Missionary Baptist Church proudly hosted their 15th annual Patriotic Breakfast last weekend with over 150 guests in attendance advocating for veterans services. The festive event, which was free for all active military and veterans, opened with everyone standing and reciting the Pledge the Allegiance followed by a rousing rendition of the national anthem, the “Star-Spangled Banner”. 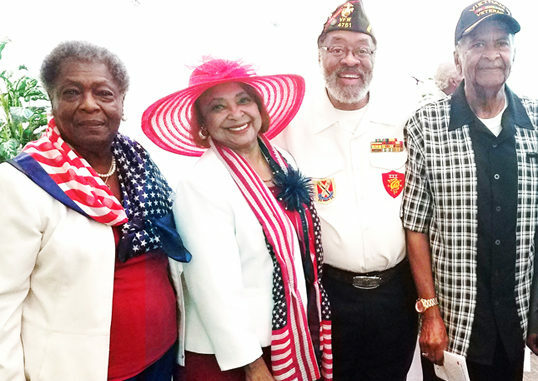 Guests were patriotically adorned in their red, white and blue as they witnessed the presentation of the Color Guards presented by Ribault Senior High School Marine Corp Junior ROTC. Program speakers included Ken Johnson of the Mayors Veterans Affairs Office and Deloris Quaranta, Veteran Affairs Administrative Service, who informed the audience of the many services available for all veterans. The breakfast is held in memory of Usher Ministry #3 past President Margaret Britton, organizer of the inaugural breakfast in remembrance of the impact of the September 11 terrorist attacks (also referred to as 9/11), that changed America, and the way we function, forever. Each of the 25 veterans who served in the Vietnam War received a pint and certificate of recognition for their service.